General 944 stone crushing and screening plant from general machinery. We are leading manufacturer of Coal Crushing Plant. Backed by years of industry experience, we are engaged in offering a premium quality range of Crushing Plant. 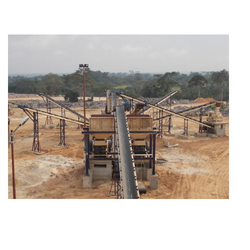 Crushing & Screening Plant that are used in diverse industries for crushing, hamming and impacting purposes. - Investment in a vertical Shaft Impactor which gives the best dimensions. - Committed Team of staff dedicated towards ensuring quality of the highest standard. - State of art equipments and know how for scientific mining. - Our own tippers and loader to eliminate dependency.